From March 4 – 9, 2018 we, the Chair of Laser Physics of the Department of Physics at the FAU, had the pleasure and honor to host the 82nd Annual Meeting of the DPG (Deutsche Physikalische Gesellschaft e.V.) as well as the Spring Meeting of the Atomic and Molecular Physics, Optics and Plasma Physics Section. It is impossible to describe the extensive scientific program and the manifold scientific results here even rudimentarily, which is why we limit ourselves to a few snapshots and some entertaining numbers. The conference enjoyed great popularity, as about 1950 participants from the participating six sections, six working groups travelled to Erlangen. 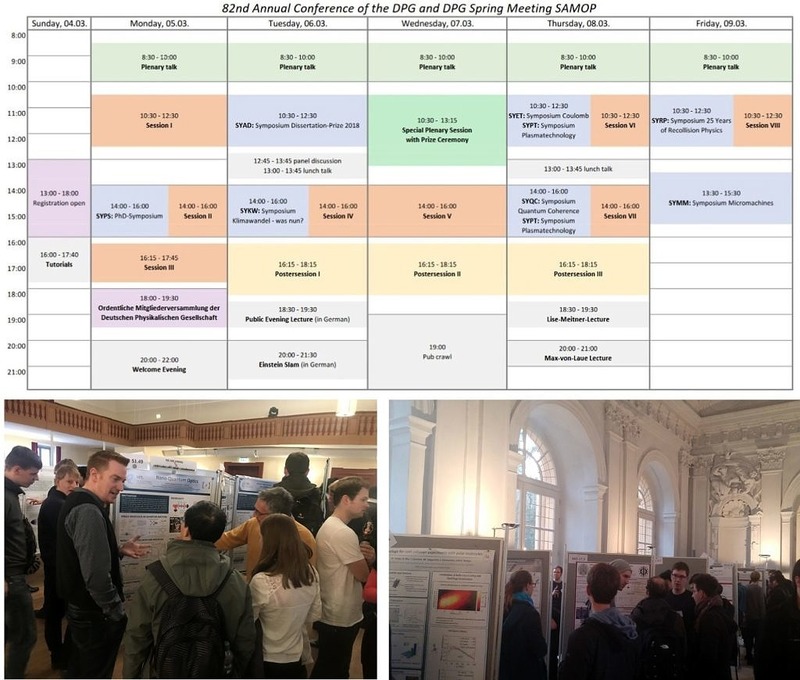 For one week, physicists – from students to retired professors – attended scientific lectures, poster sessions and other events, presented and discussed their research results and had the opportunity to discuss them with colleagues from Germany and around the world. The 1950 participants presented 756 short lectures and 594 posters, a total of 1513 registered conference papers. 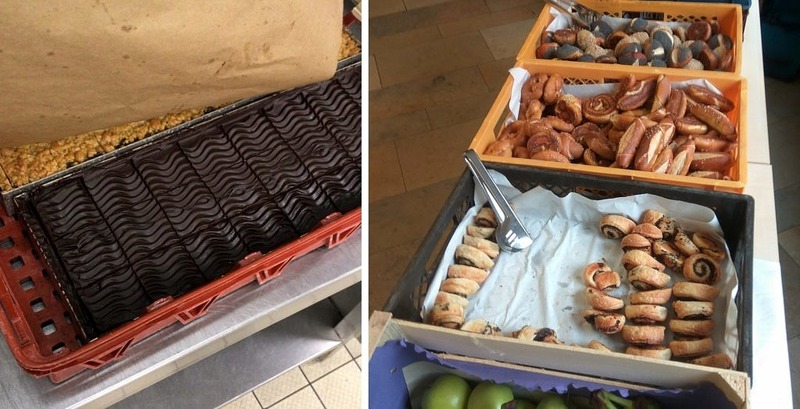 13260 pastries, 714 fruit pieces, 40 kg biscuits, 600 cakes, 3100 pretzels, 2770 bottles of beer and 6400 bottles of water and apple juice. The conference covered 13 buildings in downtown Erlangen and two tents in the castle garden. and energetic support from the staff of the Chair of Laser Physics. 1100 visitors attended the welcoming evening on 5 th of March in the Siemens canteen. With lots of good food and music. 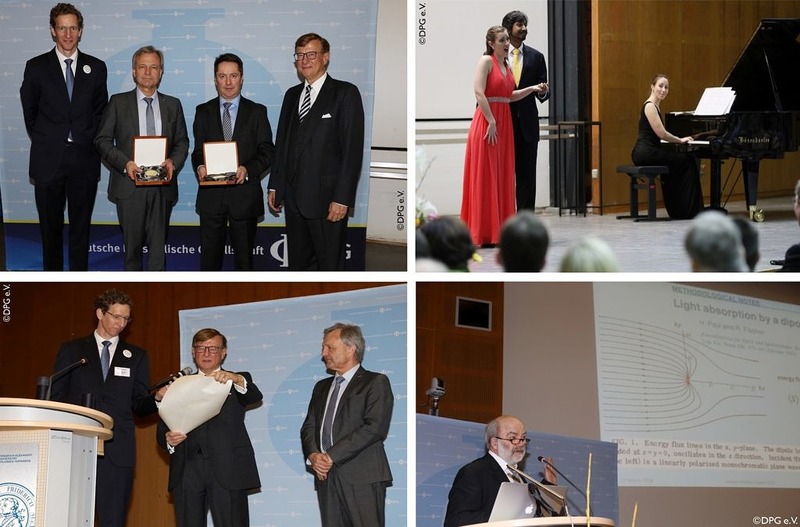 Within the framework of the conference, the annual ceremonial act of the DPG took place on 7 th of March with award ceremonies and prize-winner lectures. The wonderful musical accompaniment in the form of opera arias was provided by Professor Susanne Kelling and four of her students and alumni from the Hochschule für Musik in Nuremberg. We would like to thank everyone who contributed to the success of the conference!